Kate Riga is a news writer for Talking Points Memo based in New York City. Before joining TPM, Kate was the political reporter for The Southampton Press. She is a graduate of Georgetown University and a native of Philadelphia. 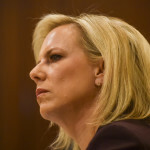 House Judiciary Chairman Jerry Nadler (D-NY), Oversight Chairman Elijah Cummings (D-MD) and Homeland Security Chairman Bennie Thomas (D-MS) are demanding documents related to the recent spate of firings at the DHS. 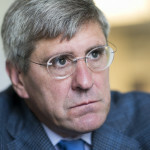 Trump 2020 Chief Says There Was 'Never Any Help' From Russia. That's Not True. Symone Sanders, Sen. Bernie Sanders’ (I-VT) press secretary in 2016, has signed on to work on former Vice President Joe Biden’s campaign. 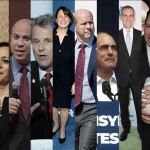 Here, in no particular order, are the candidates that have shown at least a mild inclination to toss their hats into the ring, and where they are in the campaign process. 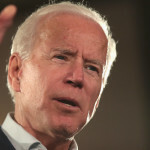 Former Vice President Joe Biden had been an official 2020 candidate for all of an hour Thursday before he began scooping up endorsements from a handful of prominent senators. George Conway, husband of White House counselor Kellyanne Conway, reacted Wednesday to Hillary Clinton’s op-ed about revelations from the redacted Mueller report. 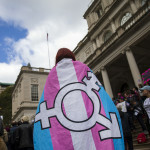 President Donald Trump’s administration is preparing to roll back protections for transgender patients while allowing health care providers to opt out of various treatments based on religious objections, according to a Wednesday Politico report. Former President Barack Obama gave a nod to his Vice President’s campaign announcement Thursday morning, but stopped short of a full-throated endorsement. FBI and IRS agents have raided Baltimore City Hall and Mayor Catherine Pugh’s (D) home, as well as an adult training center where Pugh once led a training program and has staffers on the board.